Get in touch if you need a completely new roof or if yours is in need of repairs. 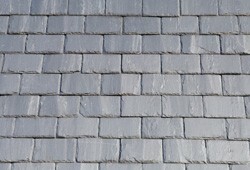 We're professionals who have great experience in handling natural slate, so you don’t need to worry about a half-finished or untidy job. We’re the experts in Leicester! You can reach us on 0116 316 9544. We cover the whole city and wider district, carrying out every job to exceptional standards. All jobs begin with a free estimate, so why not get in touch and find out exactly what we can do for you?